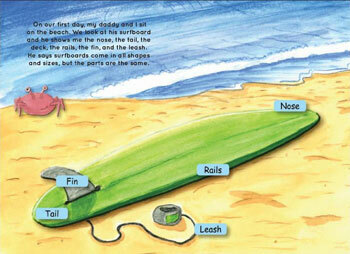 It’s no secret I’m a water rat and an island girl who spent much of childhood splashing in the surf or sprawled on one of Hawaii’s many beaches…but when I saw the new kids’ book “My Daddy Taught Me To Surf” by surfer-dad Joseph Tomarchio I laughed aloud, since my dad doesn’t remotely share my affinity with water, hails from the Midwest flatlands, and isn’t too comfy even swimming. I knew this book would succeed in opening up a larger conversation about parent-child experiential learning…expanding far beyond surfing to unwrap the gifts each of our dads have brought to us. What did your Dad teach YOU? And what will you teach YOUR children? 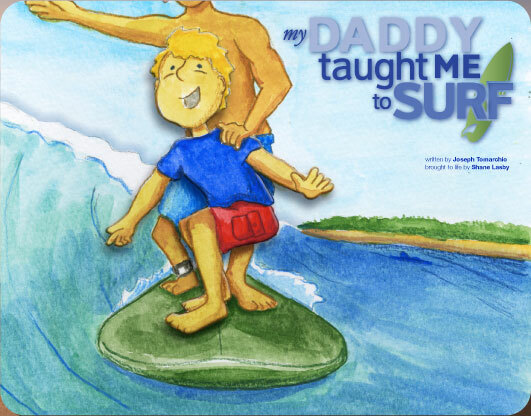 As I read through the touching book with the whimsical, vibrant illustrations, I thought about all the watersports my dad did NOT teach me, but are such an integral part of my persona. So what life lessons DID my dad teach me that were equally a part of my personality? Those bonds between us were reinforced time and again and are as big a gift to me as my love of the water. 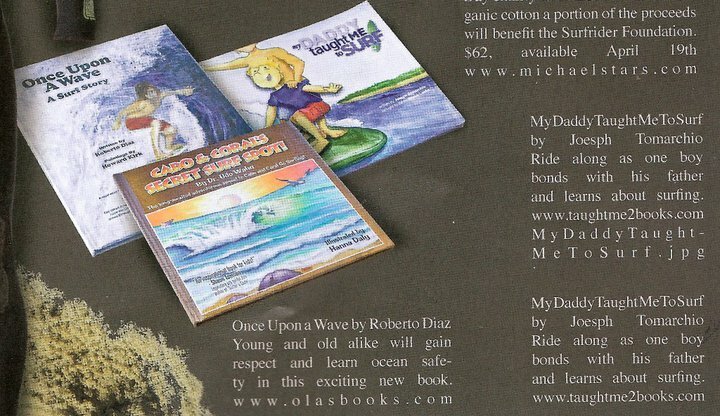 …In the hopes that we can all return the favor this Father’s Day with a meaningful expression, customized with your own stories, emotions and tender expressions for YOUR father. Now it’s your turn…Have at it! 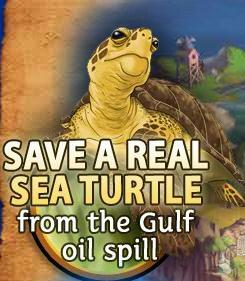 (Be a Force of Nature is their tagline, formerly Elf Island) which makes waves offline by contributing donor dollars to clean up oil-drenched sea turtles from the horrific gulf BP deepwater drilling disaster. Ocean Conservancy and World Wildlife Fund have free e-cards for Dad, papa polar bear tributes and multiple ways to adopt marine life, save species, and make waves with paternal pairings that educate and applaud the unusual role of dads in nature, from male penguins incubating eggs to seahorse fathers who take the reins during childbirth! Even if you can’t get out on the ocean to surf this Father’s Day, you can still help the sealife within it and spend some meaningful media time with dear ol’ dad. This post has made me think about all that my Dad taught me. He died too early, but made a lasting impression on me. He loved the outdoors, yet worked away at a desk all his life. So when we traveled, we were always camping, which I dreaded. We couldn’t afford the gear, so we borrowed from the scout troop that he worked with. I was so glad when we finally rented a trailer until I realized it was too close a quarters for all of us – before we would be two kids to a tent! Ah, those were the good ole days!! Great memories – glad to share them!